This dainty perennial has fragrant, spherical inflorescences and sprouts annually from a woody rootstock. 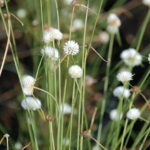 The basal leaves of Ascolepis capensis are tufted and it blends well with grasses. 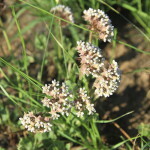 The white flowerheads also last very long. Plant in a damp spot. The sweetly scented flowers of Babiana bainsei are borne almost at ground level and together with the pleated leaves make for an unusual display. 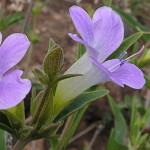 The leaves of Barleria lancifolia have a bluish colour that is very distinctive. 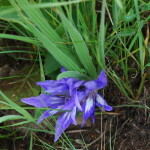 It is a very attractive plant, either in a mixed grassland or as a specimen plant on a rockery. 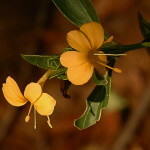 Barleria pretoriensis is a beautiful shrublet that normally occurs below trees and is very attractive if interplanted with grasses and other perennials. 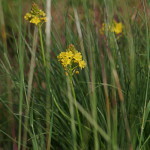 The flowering period is quite long. 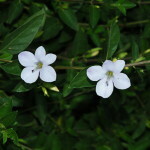 Barleria senensis is a fairly hardy plant suitable for a sunny spot in your garden. The leaf tips are armed with short spines. It can withstand mild frost quite well. 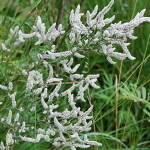 The plant is deciduous where colder winters are experienced. 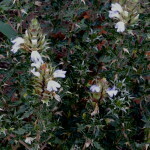 This perennial dwarf shrub or herb, growing to height of 0.5 m, is very spiny. 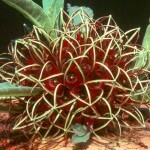 It is without doubt the most spectacular species in the genus. If the bizarre, cage-like, many- flowered head does not draw attention, the rotting smell of the flowers will surely elicit a response.